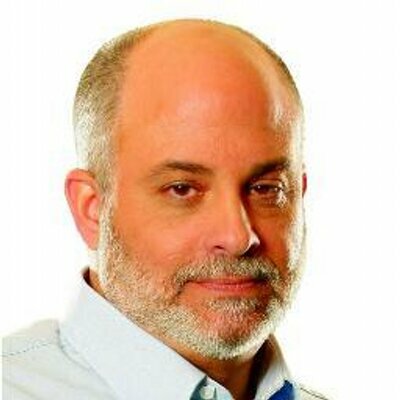 One of the most revolting political developments of the past decade or so is the effort by liberals to silence the speech of conservatives. Many times these efforts involve liberal students exerting tremendous pressure on college administrators to dis-invite right-wing speakers or, failing that, shouting down those speakers so their conservative views cannot be publicly aired. This assault by liberals on conservative speech was documented in the excellent book "The Silencing: How the Left is Killing Free Speech" written by Kirsten Parker, a Democrat who worked in the Clinton administration. The point Parker made so eloquently in her book is that the American tradition of free speech should protect all speech, including those views set forth by conservative speakers, and that liberals need to condemn attempts to silence views on the right. After all, some day it might be conservatives who are trying to silence the speech of liberals. That day came on Friday. At a rally for Alabama Senator Luther Strange facing a special election for the seat formerly held by Attorney General Jeff Sessions, President Donald Trump condemned NFL players who refused to stand for the national anthem and said that the owners should fire them. He reiterated that view in subsequent tweets. I find the players actions at best misguided and at worst deplorable. The protest is supposed to be about raising the issue of racism. But the protest does not do that at all. 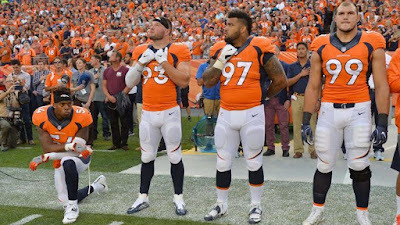 Instead the protesting players are slapping the face of all those who have fought and died so that we can have the freedoms we Americans enjoy, including the freedom those players have to earn millions of dollars playing a game one day a week. 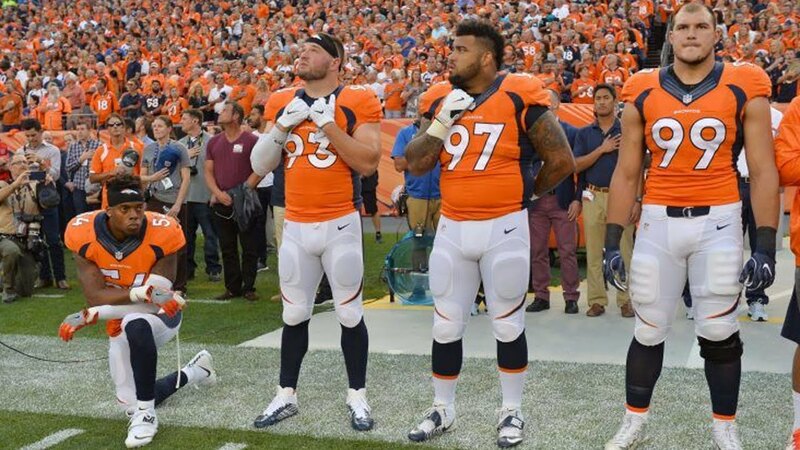 Those players might have as well gone up and spit on the flag and what it represents. But it is exactly because of what that flag stands for that we should respect and allow the protests to continue. The flag stands for the freedom to express one's views, especially those that are political, i.e are about a matter of public concern. Now I am well aware that the Free Speech Clause does not apply to private businesses, such as the NFL. And, yes, the team owners can almost certainly legally fire the players for their objectionable speech. But just because the action would be legal, does not mean it is right. Free speech is not just part of a constitutional amendment. It is an essential characteristic of American society and a bedrock principle of our political system. If people are constantly threatened with their jobs if they dare express their views publicly then robust political debate is silenced and we all suffer as a result. Sadly, we have a President who has long declared open hostility to the American tradition of free speech. Candidate Trump attacked American free speech during the campaign., even suggesting that the requirement of "actual malice" for libel actions be done away with. Trump warmly praised dictators who violently put down public protests and kill journalists who write negative stories about those dictators. He is the first President since John Adams who has argued that Americans actually have too much free speech. Even before entering the world of politics, Trump was well-known for suing (or threatening to sue) anyone who had the temerity to speak ill of him publicly. Unfortunately, too many of my Republican friends have tossed aside their conservative principles to back the President's over-the-top assertion that these NFL players should be fired by their employers. In doing so, they are eschewing Constitutional principles and embracing the liberal tactics of suppressing unpopular free speech, i.e. speech liberals do not like If those tactics are wrong for liberals, they are also wrong when done by conservatives. The answer to unpopular speech is not to silence that speech, but to counter it with other speech. By all means let's roundly condemn those players who insult the grand principles for which our great country stands. But, as one of those principles is the right to speak out on matters of public concern, let's stop short of demanding that speech be silenced by firing the speakers. For conservatives to do otherwise makes them no better than the liberals. Today marks the middle of the month and the end of three weeks of the most positive media coverage of the Trump Presidency. It started with Hurricane Harvey hitting the Texas shore on August 25th. Trump received positive reviews for his administration's handling of the storm. Then came Hurricane Irma and Trump's bipartisan legislative deals. Again, more positive media coverage. 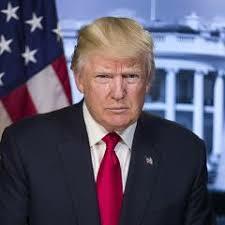 Although I didn't buy that Donald Trump had actually changed his persona from being a self-obsessed, intellectual lightweight who lacked even the most basic qualifications and temperament to be President of the United States, I thought a significant number of other people would have a change of heart and now judge Trump more favorably. I was wrong. Gallup's tracking poll had President Trump's approval rating at a dismal 35% on August 25th. Today it is only 37%. Real Clear Politics' average of the Trump polls show his favorability rating has only increased from 38.5% to 39.3% during the same period. Trump's poll numbers appear to be baked in. They rise only slightly when the news coverage is positive and do not decline significantly when Trump is getting hammered in the media. People's minds seem to be made up about the President. Yesterday though introduced a new dynamic. Trump appears to be in the process of walking away from two of his major promises on immigration, DACA and the Wall. Immigration is an issue that motivates Trumpers and one the President successfully used to distinguish himself from the other Republican presidential candidates. Some Trump supporters, people like Rush Limbaugh, Anne Coulter and Breitbart, are treating the Trump immigration retreat as a betrayal to the base. My guess is that Trump's won't lose his core supporters despite his new-found moderate position on immigration or his willingness to cut legislative deals with "Chuck" and "Nancy." Trumpers seem willing to sign on to the President's agenda, regardless of whether it is a conservative, liberal or moderate agenda. They are behind the President, because, well, he is Donald Trump. The Trump phenomenon is the closest to a cult of personality that I ever want to see this country come. I have long said, the reason hurricanes cause so much damage is because of the overdevelopment of tropical areas that used to absorb much of the wind and water that came with hurricanes. In short, the hurricane buffer is gone. Writing a lengthy piece in Politico, Michael Grunwald, a Miami resident temporarily displaced to Orlanda due to Hurricane Irma, does a terrific job of telling the history of Southern Florida and how draining the swamp for development has left the state exposed to wrath of hurricanes. In 1896, close to 400 people crowded onto the second floor of the Lobby Pool Room (large building in center of photo) to vote to incorporate Miami as a city. It then had 90 residents. Today the Miami metro area has over 6.7 million residents. 1896. And even then an early visitor declared that if he owned Miami and hell, he would rent out Miami and live in hell. There was really just one reason South Florida remained so unpleasant and so empty for so long: water. The region was simply too soggy and swampy for development. Its low-lying flatlands were too vulnerable to storms and floods. As a colorful governor with the colorful name of Napoleon Bonaparte Broward put it: “Water is the common enemy of the people of Florida.” So in the 20th century, Florida declared war on its common enemy, vowing to subdue Mother Nature, eventually making vast swaths of floodplains safe for the president to build golf courses and Vanilla Ice to flip houses and my kids to grow up in the sunshine. Water control—even more than air conditioning or bug spray or Social Security—enabled the spectacular growth of South Florida. It’s a pretty awesome place to live, now that so much of its swamp has been drained, much better than Boston or Brooklyn in the winter, and, for the obvious economic and political reasons, much better than Havana or Caracas all year long. But Mother Nature still gets her say. Water control has ravaged the globally beloved Everglades and the rest of the South Florida ecosystem in ways that imperil our way of life as well as the local flora and fauna. And sometimes, as we’re about to be reminded, water can’t be controlled. Hurricanes routinely tore through South Florida even before hundreds of gleaming skyscrapers and thousands of red-roof subdivisions sprouted in their path. Our collective willingness not to dwell on that ugly inevitability has also enabled the region’s spectacular growth. Needless to say, nobody built a wall. But America finally did get serious about draining the swamp. The Army Corps of Engineers, the shock troops in the nation’s war on Mother Nature, built the most elaborate water management system of its day, 2,000 miles of levees and canals along with pumps so powerful some of the engines would have to be cannibalized from nuclear submarines. The engineers aimed to seize control of just about every drop of water that falls on South Florida, whisking it out to sea to prevent flooding in the flatlands. 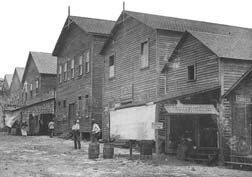 They made it possible for Americans to farm 400,000 acres of sugar fields in the northern Everglades, to visit Disney World at the headwaters of the Everglades, to drive on the Palmetto and Sawgrass Expressways where palmettos and sawgrass used to be. They made South Florida safe for a long boom that has occasionally paused but has never really stopped, bringing 8 million people to the Everglades watershed, pushing the state’s population from 27th in the nation before World War II to third in the nation today. The problem, like most problems in South Florida, is a water problem. Half the Everglades has been drained or paved for agriculture and development, so in the rainy season, water managers have to dump excess water into estuaries and what’s left of the Everglades. Then it’s no longer available in the dry season, which is why South Florida now faces structural droughts that create wildfires in the Everglades and endanger the region’s drinking water, which happens to sit underneath the Everglades. Meanwhile, the Everglades itself—once reviled as a vile backwater, now revered as an ecological treasure—has all kinds of problems of its own, including 69 endangered species. In 2000, Congress approved the largest environmental restoration project in history to try to resuscitate the Everglades, an unprecedented effort to fix South Florida’s water problems for people and farms as well as nature. But 17 years later, virtually no progress has been made. It’s a real mess. And they keep coming. Twenty-five years ago, Hurricane Andrew ripped through Miami’s southern exurbs, but the homes destroyed were quickly replaced, and most of us who live here now weren’t here then. So we weren’t really ready for Irma, even though at some level we knew it was possible. It’s conceivable that Irma will finally shut down our insatiable growth machine, but I wouldn’t bet on that. Our inclination towards collective amnesia is just too strong.